Summer is coming soon and we are all thinking how our body will look in the new colorful bikini or trikini swimsuit. Not to be ashamed of our selves and fill comfortable at the beach we better start now. From many different sport activities I have tried, I found Bikram Yoga one of the most efficient ones. It cleans the body from all the toxins, the ones remaining after long winter, which come out with sweat. The skin purifies, becomes softer and gets a bright look. Basically what is it all about: the original hot yoga is a series of twenty six postures and two breathing exercises. One lesson takes place in a room heated up to 40 degrees for 1,5 hour long. there are two studios in Paris, which are open everyday without holidays. The classes are from 7am to 9pm, most of them are in French but there is one or two a day in English. The couches are all very friendly, as all real yogis are supposed to be:) Good news, for students under 25 there is a discount of 10%. The only advice I would give bring your own towels and the mat. Of course the smell in the room at the first glance can seem to so pleasant, but you get used to very quickly and after 10 minutes feel nothing. So my advice is: healthy diet plus bikram yoga will give an excellent result within one month. And trust me we all can do it! there is no age, gender or any other preferences for bikram yoga. Simone Rocha, future LVMH winner? This past saturday 26th of April I went to Justin Timberlake´s concert in Paris, which took place in the State de France. 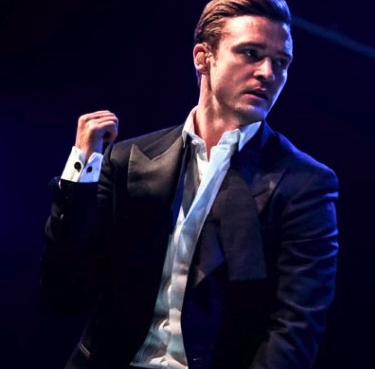 What surprised me about the concert was how well dressed JT and all his dancers and band were dressed. They were all wearing suits and the girl dancers were also wearing very beautiful woman suits. Tom Ford was the man in charge of designing all the costumes for the world tour of the 20/20 experience. He created more than 600 exclusive designs for the show. The colaboration between Justin Timberlake and the designer started after the music video ´´Suit and Tie´´, where Tom Ford dressed JT and Jay Z. “Justin has great personal style and knows what he wants, which makes designing for him an absolute pleasure,” said Ford in a statement. “He is a tremendous talent and has a kind of effortless cool that makes classic menswear tailoring modern´´. Justin has become the image of the brand, promoting the clothes, for men and woman all over the world. I would say that Justin Timberlake is the perfect image for the brand. Fashion houses are using actors, singers, etc. to portray the image of their clothes and I could not think of a better example to portray the image of the Tom Ford clothes better than JT. In addition to Timberlake’s eight custom made outfits, there also will be original pieces for his band members, vocalists and dancers to wear. I think that the colaboration between the two will be very successful and who doesn´t like seeing Justin Timberlake and his dancers wearing Tom Ford suits?.